Paschale Straiton is a performer, director and co-director of Red Herring Productions, an outdoor theatre company based in Brighton. She will use this residency to create a series of audio experiences for headphones, which persuade people to act unconventionally around the city and to feedback on those experiences online. 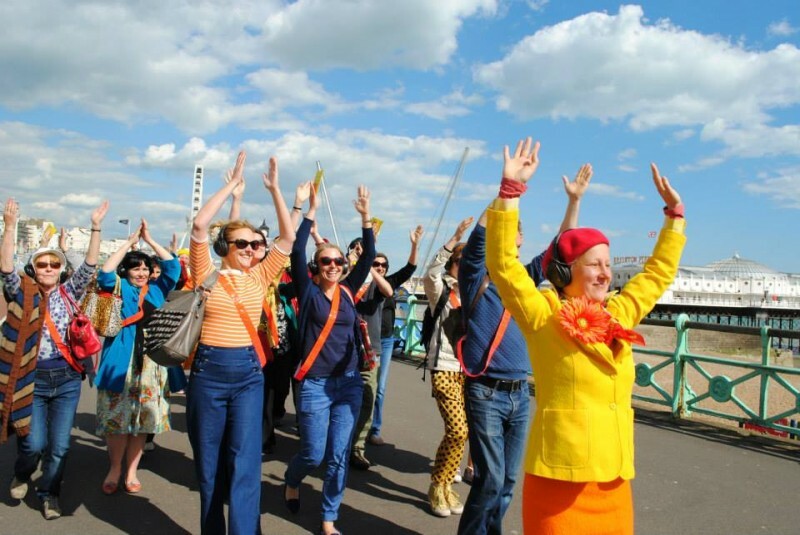 This builds from Red Herring’s recent production Funny Peculiar – a theatrical guided tour which focuses on eccentrics and the nature of eccentricity and which gently encourages people to behave oddly and to feel a kind of liberation in the process. We recorded a short interview with Paschale at the end of her residency where she discussed her plans for the project.